Our Boston mesothelioma lawyers understand one of the most important parts of any lawsuit is being able to establish which companies or individual defendants are responsible for asbestos exposure that could have happened many years ago. 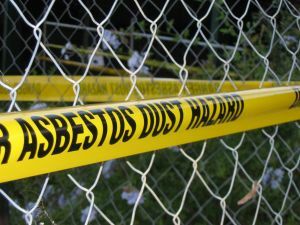 According to a recent story from Oregon Live, asbestos was found for a second time at the same buildings owned by a municipality. Five buildings were purchased by the city to be used as a parking lot for a public library branch. During the initial inspection, asbestos was discovered in some of the five buildings. The city arranged for safe disposal of the asbestos. Two of the remaining structures were determined to be safe for demolition. Rather than having a professional demolition company raze the two buildings, the city allowed the fire department to perform a series of controlled burns, as a learning opportunity to understand how to battle fires in an urban environment and specialized practice firefighting techniques. While working in the buildings, a firefighter with experience working around asbestos discovered what he believed to be the deadly substance and recommended that the city have another inspection performed. The city promptly had another inspection, and asbestos was found that was missed during the first inspection. A representative from the company that performed the second inspection said the first inspection was obviously not thorough enough. City officials and the firefighters have insisted the public was not put at risk by the controlled burns in the asbestos-filled buildings and noted they had not received any reports of illness. While this is potentially good news, it is not surprising that no health complaints were made yet, considering people who have been exposed to asbestos often go years or even decades before they develop symptoms of mesothelioma and seek treatment. By that point, the disease may be so advanced, the patient may not have much longer to live. Another interesting aspect of a situation like this is what liability the asbestos inspection company would have toward people who became ill from inhaling asbestos fibers. While it is likely that any company that performs asbestos inspections is required to have insurance and a bond, the company many not even be around by the time a lawsuit is brought. This is one of the reasons that a typical asbestos lawsuit may have dozens of companies listed as named defendants. As your mesothelioma attorney can explain, the disease is unquestionably caused by exposure to asbestos. The critical part of obtaining a fair and appropriate financial recovery is proving which companies were responsible for that exposure. Witnesses are often critical to determining when a plaintiff was exposed to asbestos. If you have been diagnosed with mesothelioma, one of the best things you can do is make a list of anyone who may be able to corroborate when you were exposed to asbestos fibers. Asbestos was used by many companies in a wide range of products. Most of those firms knew the potential risks of exposure, yet failed to protect workers and the public and failed to warn them too. Property owners and inspection firms may also hold some degree of liability in these situations.